I’m happy when I convert humble scraps into gut-lovin’ glory. And happier when it pleases someone else. A perfect balance of frugality and craving. That’s bread pudding in our household. I’ve cleaned out the pantry and my mate thinks I have made a genius dessert. Way cool, as the kids say. 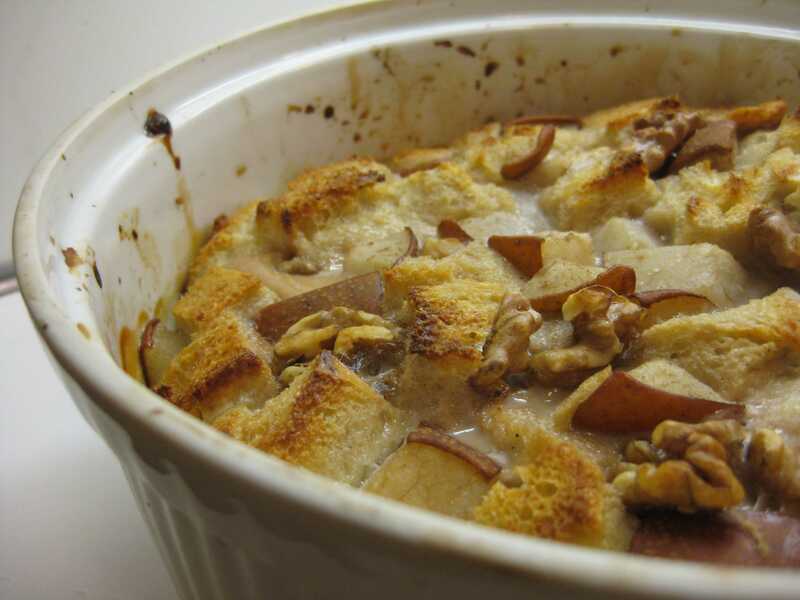 I’ve already posted a bunch of sweet and savory versions of bread pudding, but here’s another, made of a de-crusted baguette combined with local Asian pears (with the consistency of apples, which helps) and walnuts. I would have preferred pecans but that’s what the pantry offered. I used turbinado sugar but you could combine conventional white and brown sugar. Ground mace added a complementary spice. Lately I’ve been favoring a more custard-like texture over the bread but since I wing it every time (within range), it always seems to work. Preheat the oven to 350 degrees. 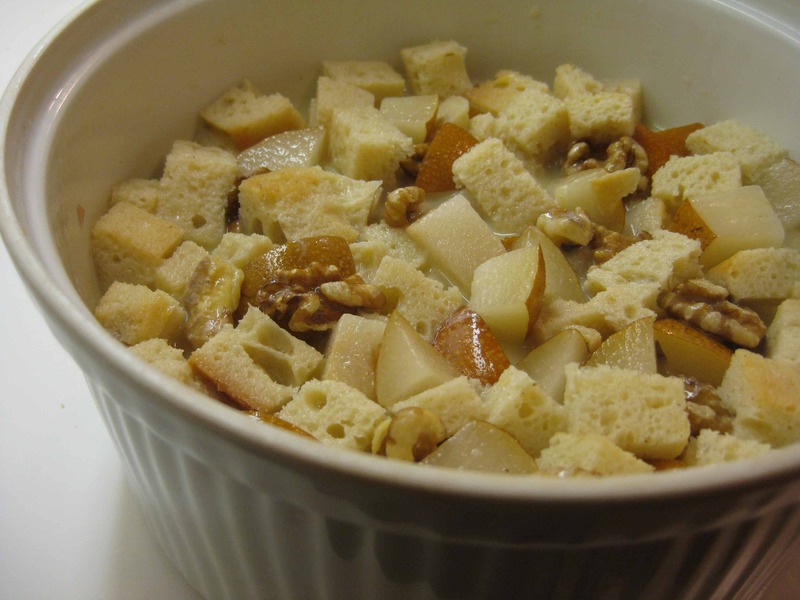 Combine the bread, fruit and nuts and place them in a buttered baking dish. Lightly beat the eggs and add the milk and sugar and spice, stirring to dissolve the sugar. Pour over the bread mixture, pressing down lightly to make sure the top bread cubes are moistened. Bake for 45-50 minutes or until the custard is set. Serve warm.